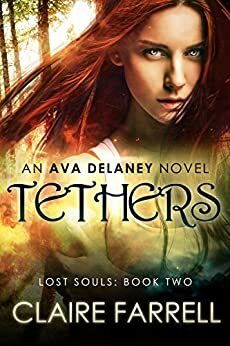 Ava’s been protecting her shifter friend from the alpha for months, but now he’s managed to come up with a brand new excuse to take Esther, and the Senate have turned their backs on her completely. While Ava works to find a way to keep Esther out of Mac’s reach for good, a series of violent murders put everyone in the cul-de-sac under suspicion. An entire race will be exterminated the real culprits aren’t found, and people like Ava just might be next on the soon-to-be-extinct list. I gave this book a rating of 5 because I loved it. I loved how in the book the even the simplest answer wasn't easy to find even though it was right under their noses. But when things calmed down a bit she realized that it was the simplest answer . That pact meant family and that they were her family so in the end part of her pact. I recommend this book to anyone that loves anything supernatural. 5.0 out of 5 starsPhoenix and Ava.. Will it continue? Another great book by Claire Farrell. When I first started this book I was beginning to wonder if it would be another repeat of everything else that had happened, just with different characters. There were a few chapters that I found myself skimming over actually. Then you get a deeper look into the relationship between Phoenix and Ava. I've always been a Peter fan, but you can't help but like Phoenix and think that the two of them may have the best chance. You also get to see more into the lives of the werewolves. Can't wait for the next book to come out in December.! I Love the Ava Delaney books. Once again, Ava has shown that in a pinch she can still hold her extended family together. Ava is still a very complex character and she is still trying to establish her place in this world. However, she is no longer alone. I am looking forward to the next book as I am hoping that the love interest introduced in this book will develop further. I adore Ava and Ms. Farrell has become one of my favorite authors. I can't wait for the next one! Her books are captivating and draw you right in to the world she has built. I highly recommend starting at the begging of the series with Thirst, you won't regret it.